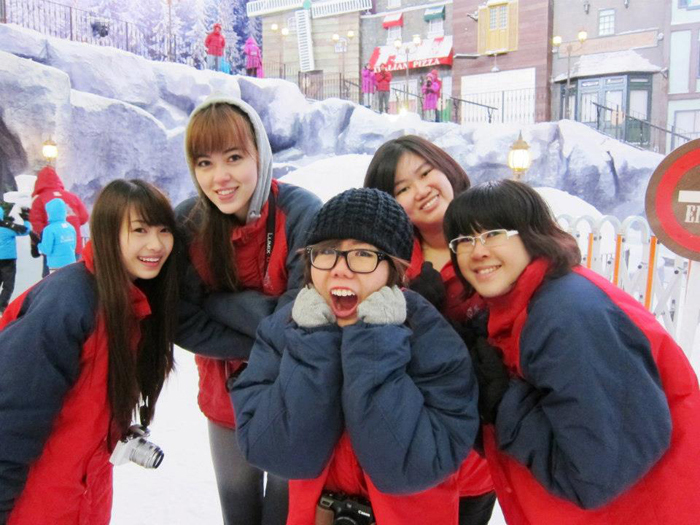 The emphasis for this trip was to visit their newly-renovated Snow World! Anyway as usual we took a coach up to Genting, which is an approximate 6-hour drive! Don't worry you get meal & toilet breaks haha. Sunglasses because I had no makeup & no contact lens on since I was intending to sleep on the way up! Braided hair so that I'd have curls once I reached haha. The coach was damn comfortable! Sat at the back with the Nuffies! For this trip we took up a whole coach! It involved 5 Nuffnang bloggers (me included), 2 Nuffies (Nuffnang staff to chaperone us hahaha) & almost 20 Glitterati bloggers who won the sponsored trip! Reached Genting shortly after lunchtime! For those who aren't familiar with Genting Highlands, well it's basically a really big recreational resort on a mountain peak! Other than offering both indoor & outdoor theme parks as well as casinos, shows, conventions... one unique feature is that the weather there is COLD due to the elevation! That's probably nothing to people living in temperate climates, but for us tropical dwellers it's really different haha. The temperature there is kind of like autumn in European countries! You actually should wear leggings/jeans & sweaters there. Here is a mini-model of the resort! Lunch was at Restaurant Good Friends! 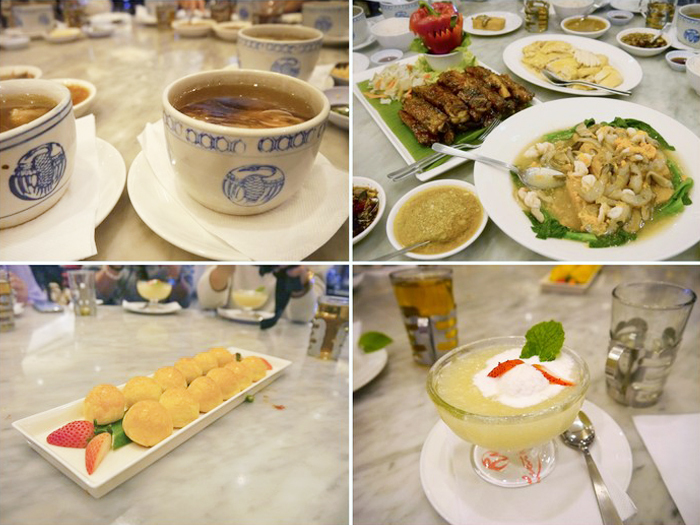 Ginseng chicken soup, other dishes & dessert! Headed up to our room, which was the Club Room at First World Hotel! And the window has no curtain because all we're facing is greenery & open space! Not a sight you get to see in Singapore! Wahahaha damn good lighting by the window! That's my travelling outfit. It's so spacious, features both a shower + tub & has a big mirror! And here's what was in my travel bag! Sunglasses, phone, passport, iTouch, eyemask & wallet. For trips I usually carry just my debit card in case of card purchases/withdrawals/emergency. I rarely bring along my IC in case I lose it + I already have my passport with me. So guess who ended up paying $250 for her? Hahaha of course she paid me back lah but guys! Please bring along your card! Seriously, it's important in case of an emergency! You don't want to be stuck overseas with no money. Dinner at Ming Reng Restaurant! Ming Ren is Chinese restaurant that specialises in LAMB dishes. Feel free to tell me if "Ming Ren" means lamb or something haha. Ok I know "ren" means people. The name isn't... "lamb people" right? HAHAHA. Actually we had a few hours in between but both my roommate & I were tired so we conked out lol. And my roommate is Melissa, one of the other Nuffnang bloggers! With Ben; he & his brother Randy are also Nuffnang bloggers on this trip with us! The Tandoori lamb (I'm assuming it's lamb because like I said, I am so bad with food identification) was really good! One of my favourite dishes that night. But omg surprisingly damn nice! I would totally wanna eat it in Singapore if it were available anywhere! Looks so innocent right? Hahaha. But anyway don't worry, it tasted like cinnamon actually! You know how sometimes cinnamon is a bit salty? Tasted like that! Group picture! L-R: Ben, me, Melissa & Randy! Walked around Genting after dinner! Checking out cupcakes & other desserts at The Bakery (really near Ming Ren)! Haha for the whole trip we had this joke about trying to do a Ladyironchef (popular food blogger), a.k.a. taking a nice food picture, uploading it to Instagram & getting on the Popular Page LOL. Unfortunately none of us captured any Popular-Page-worthy photos hahaha. This looked so good I was so tempted to try it! Decorations & booths for the Mid-Autumn Festival! Next we decided to head to the... CASINO! Hahaha the 6 of us decided to try our luck at the machines! But I think in total we only spent like... S$20 LOL. At one point we won a prize of 150 credits (which is worth a few dollars) & we were so excited! Colourful mochi! Bought 15 from this stall! Headed back to the room after that! The reason why I have this photo is because Melissa & I were asking the rest if their room had a hair-dryer & they all said it's beside the mirror! So I said, "I thought it was a phone leh, like for people to call from while they're in the bathtub". THEN THEY ALL LAUGHED AT ME. SO THAT WAS THE PROOF. 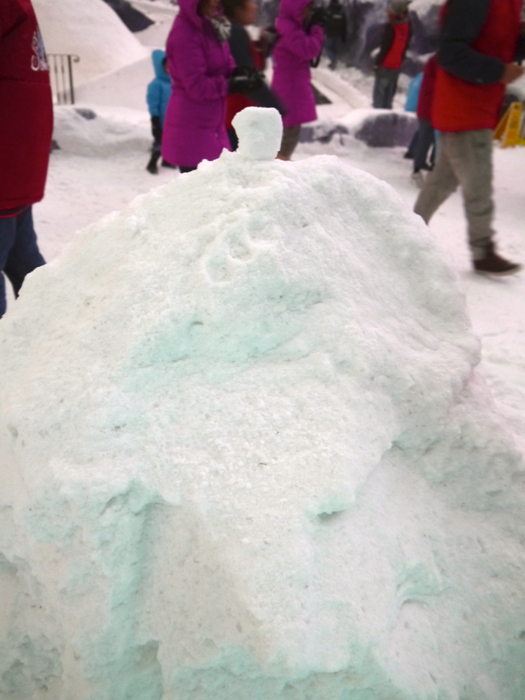 Hahaha when we arrived the staff were still preparing the snow. Blurry picture but it's the only one I have of our 2 Nuffnang managers, Jayne & Gabby! 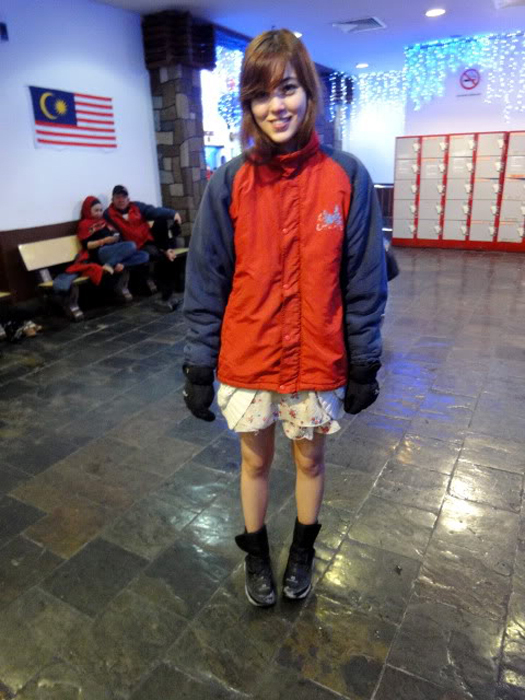 I actually went to Snow World on my previous trip up to Genting too! Yep I entered Snow World wearing a dress & with no socks! It was pretty darn cold but still bearable. But since I knew how it was gonna be like, this time I dressed a bit warmer! It was already pretty cold the previous time, but still passable for me in a dress. After their renovation it's so much more realistic! It's really like winter in Europe! Omg if I were to go again I now know I can bring up like serious winter stuff! The Nuffies split us into 5 teams, with each Nuffnang blogger leading one! We then played a game where we had to complete 4 tasks & take photos to prove it! Omg see how cold I look? Even put my hood up hahaha. I am such a failure as a half-French... Where are my cold-weathering genes?! 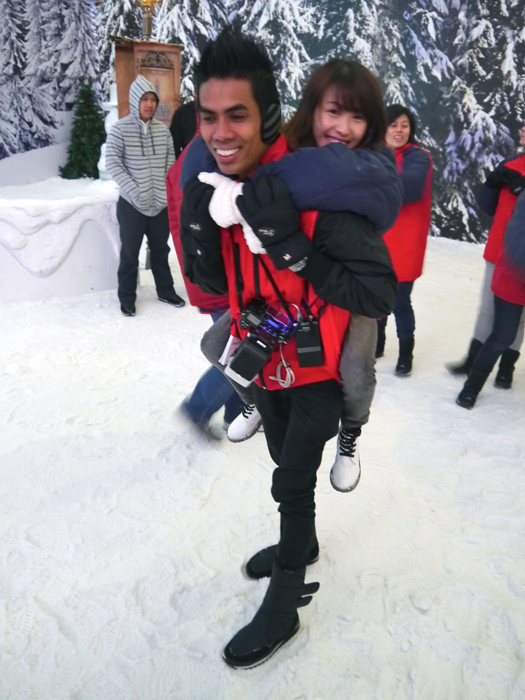 Task: Find a Snow World crew member & get him to carry you! Task: Find someone wearing spectacles! Yes that's our snowman HAHAHAHA. 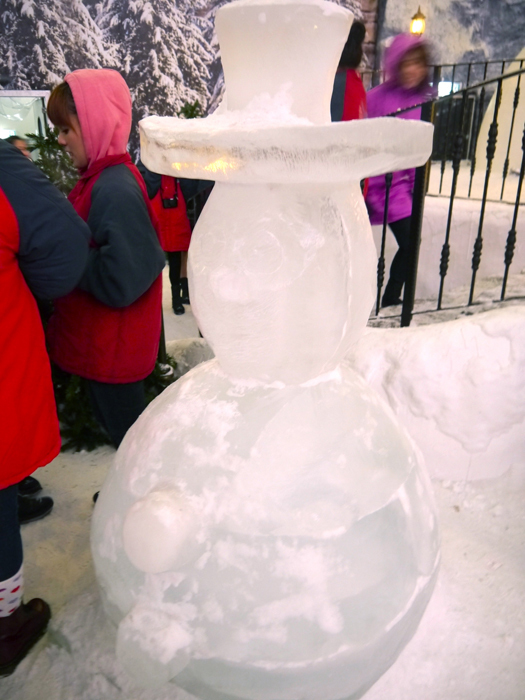 We didn't want to waste time gathering the snow since we were competing with the other groups! And spot the kid making a snow-angel! Little igloos! It's slightly warmer inside there so you can take refuge there if it's too cold for you! Hahaha look at my red nose! Whole face was so cold! Normally cameras aren't allowed into Snow World but they made an exception for our trip! And I can see why they wouldn't be allowed... look at the edges of my photo! I had condensation all over my camera haha. Quite a cool blurry effect but a bit too unclear! 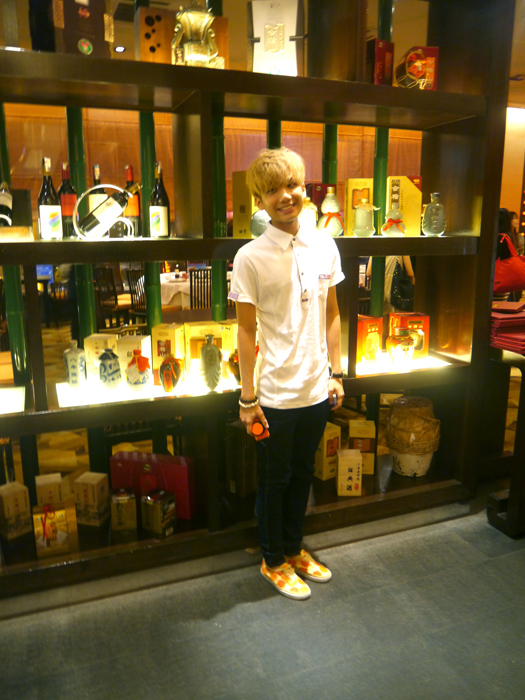 Another blurry photo so I had to take the next 3 photos from Peishi, credits to her for them! Haha my team won for one of the games! I don't remember which we won but never mind LOL. Minus the 2 poor Nuffies who had to take photos with the 10+ different cameras passed to them haha. Packed up after Snow World & had lunch at Lobby Cafe! Kind of like local Singaporean food! They apparently serve famous Roti Canai which... looks like a bigger version of Roti Prata? Lol. Super old car spotted at one of our toilet breaks! 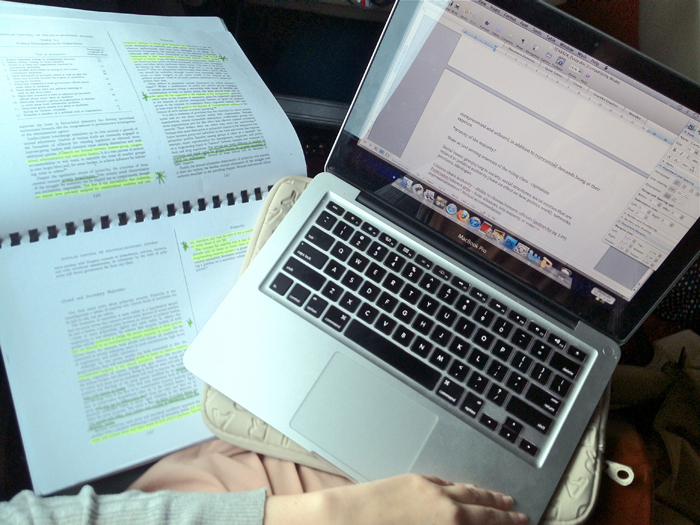 Brought my work up to Genting to do! So that sums up our quick 2D1N getaway to Genting! This was actually my 4th visit to Genting in the last two years hahahaha - two 3D2N trips, this 2D1N trip & one night drive up. Genting is really near Singapore if you're looking for a short change in environment & an entirely different climate! :D Remember to pack all those sweaters & other stuff too warm for Singapore! There's actually a lot of stuff to do there too - casinos, Snow World, indoor/outdoor theme park, movies (they have a cinema), shopping, eating (so many restaurants), concerts/shows, arcade games, strawberry/mushroom/lavender farm (the lavender farm is new)... Go explore! Hi, the wasabi prawns dish was actually created by Sam Leong, a celebrity chef, when he was with Tung Lok. You can still find it in Tung Lok restaurants. Before your post, I had never heard of Genting. It seems like a really nice place to visit, I would certainly like to see Snow World. I love the dessert pictures, makes me hungry. 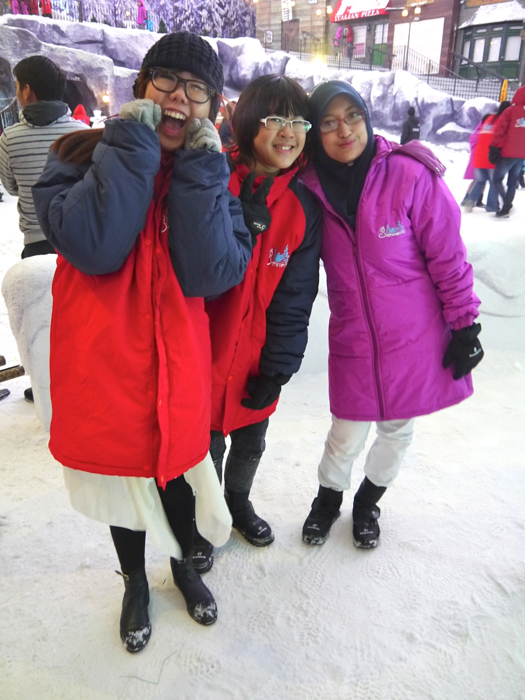 SNOW WORLD! That looks like fun. While that would be a very interesting name for a restaurant, Ming Ren unfortunately means famous person/ celebrity. I lived in Singapore for 12 years and never got around to seeing Genting - thanks for the pictures so I can somewhat live it up until I get to go to the real deal.